A beautiful game with an engaging world and an utterly miserable play experience. Blizzard put together a functioning product but the lack of institutional knowledge for making a shooter is painfully evident: Overwatch is less a challenge of your shooter skills than it is of making sense of a horrendous heap of visual noise as abilities are over-animated and the flat surfaces keep everybody crossing in front of you. These are real skills to test, but not exciting ones. Strangely addictive, though it took two years of expansion to really feel "big" enough. I appreciate the vastly different playstyles offered by the hero selection - would be nice to see that sort of thing in a turn based RPG some day. An extraordinarily well designed and maintained shooter from a company with 0 experience in the field, often times marred by toxic team mates and questionable arcade choices (pve events twice a year? c'mon blizz. lump them in the arcade like we know you should). I like the characters, but the maps all feel very similar, and some modes are a lot better than others. 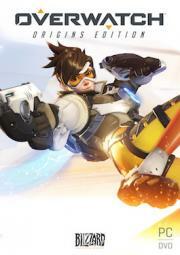 Shined with that usual Blizzard polish, Overwatch is a stand-out example of hero shooters in the last couple decades. Interesting and unique characters all with wildly different mechanics keep the gameplay fresh and interesting for a long time. However, lack of varying game modes and a single player experience hold the game down. It's pretty good fun but I fell out of wanting to play it pretty quick. Never was into TF2, so I don't have much to compare it to. Even then, Overwatch is decently fun on its own merits, if perhaps a bit shallow at times and highly imbalanced. in terms of how much value I've gotten out of a video game purchase, this might be at the top of the list. the inherent limitations of multiplayer-only games prevent this from being one of my very favorite games ever, but it's absolutely one of my favorite ways to kill 30 minutes. My friends play this game a lot. I play this game because I want to do things with them. If I play this game I must like it. Cognitive dissonance is a hell of a drug.